Between June 1942 and August 1945 ten primary U.S. contractors manufactured over 6 million U.S. M1, M1A1, and M2 carbines. During World War II these carbines were issued to U.S. soldiers in every theater of war around the world. M1 carbines were supplied to a number of Allies via the Lend/Lease Program during WWII. Carbines were smuggled into, or parachuted to, resistance groups in a number of different countries during the war. After the end of WWII many of the carbines were returned to America, where they were inspected, refurbished, and/or rebuilt to the latest standards. Many of the carbines did not return to America. Instead, they were stockpiled in various countries in case they were needed. The war in Europe ended May 8, 1945. By August 1945 the U.S. Army began arming the German police with M1 carbines. This practice was repeated in Italy, Austria, Greece, China, and many other countries by 1955. The Military Assistance Program began in 1951, providing many M1 and M2 carbines to many different countries. The outbreak of war in Korea brought thousands of Americas and M1/M2 carbines to Asia, but also thousands of M1 carbines to the South Korean armed forces. The National Archives has the records of all forms of military assistance provided by The Military Assistance Program. The forms of assistance are broken down into many different categories, most not very specific as to the type of aid. Fortunately, "Carbines" have a category of their own. I have extracted all of the records for M1 and M2 carbines provided to other nations by the Military Assistance Program. I have added the data of carbines provided by Lend/Lease during WWII and one shipment provided by the Excess Defense Articles (EDA) Program under the Foreign Assistance Act. If I can locate additional data from proven reliable sources, it will be added. To view the list, click on the link below. Lend/Lease often meant "free" instead of a loan or a lease. Military Assistance was sometimes a loan, sometimes a sale, and sometimes for free. All of which was subject to change. In the case of both Austria and Germany, in 1956 both countries paid America for the military assistance they had been provided with, retroactive to 1945. This gave them ownership of the weapons they had been supplied with. M1, M1A1, and M2 carbines have been passed around all over the world. If one country had them as surplus and another country needed them, the carbines didn't pass back through America on their journey. Sometimes the transfer of M1 and/or M2 carbines was not intentional. M1 carbines given to the French in Indochina were used by the Viet Cong against Americans in Vietnam. These circumstances opened a world market for governments and private companies to buy these carbines from governments, export or import them elsewhere, and sell them to another government, private citizens, collectors, etc. How the U.S. M1 carbine Became an "Import"
During the postwar years, domestic firearms manufacturers encountered heavy competition from home hobbyists who converted inexpensive imported military arms into hunting and target rifles. "Mail order houses" imported such arms for a pittance and resold them to a national market. Domestic arms manufacturers saw their sporting markets undercut and began pressing for protective measures. The industry sought a legislative remedy and in 1958 secured passage in the House of a rider to the Mutual Security Act that would have barred virtually all surplus arms imports. The National Rifle Association took issue with the manufacturers and strongly opposed the amendment. The Senate, citing possible violations of the General Agreement on Trades and Tariffs, limited the restriction to the re-importation of military weapons that the United States had sent abroad to other countries under the Lend/Lease program [Mutual Security Act of 1958, 403(k), 22 U.S.C. 1934(b) (1970)]. The military of a number of countries received M1 carbines under the Lend/Lease Program, but not Germany and Austria because Lend/Lease did not include the Axis Powers. The M1 carbines which were sent to Germany and Austria were not sent as military weapons. The Gun Control Act signed by President Johnson on October 22, 1968 [18 U.S.C. 925(d)] was an omnibus measure reflecting a variety of congressional purposes. This Act ended the importation of ALL surplus military firearms and all other guns unless certified by the Secretary of the Treasury as "particularly suitable for ... sporting purposes" [Cong. Rec 22, 779-80 (1968)]. This is what temporarily stopped the return of any U.S. M1 carbines to the U.S. The Firearms Owners' Protection Act of 1986 amended The Gun Control Act 18 U.S.C. section 925(d)(3), requiring that the Secretary [of the Treasury] shall, as opposed to may, authorize the importation of firearms which were generally recognized as being particularly suitable for or readily adaptable to sporting purposes. In addition, the importer's burden of establishing this fact to the Secretary was eliminated, however, the Secretary retained the obligation to determine whether or not specific firearms satisfied this test. This is what partially opened the door for the return of the U.S. M1 carbines which were in Germany and Austria. The Gun Control Act of 1968 also required that any guns imported into the United States must be permanently marked with the name and location of the importer. The M1 carbines that were returned from Germany and Austria have such a marking, but the Importers were not happy about this requirement. What we see, as a result, is that some of the importers stamped the marking rather lightly, so that re-bluing the gun would make the marking hard to see. Many, but by no means all, importers placed the marking on the least conspicuous part of the barrel. Exactly what was meant by "location" was left open ended. Some of the importers indicated a city and state, others abbreviated the city and/or state. Some also abbreviated their company name. The downside of an import mark is it generally detracts from the amount a collector will pay. The upside of an import mark is it helps document the history of the weapon. Import marks are generally found somewhere on the barrel of the imported carbine. But not always. Examples are shown below. Import marks on the M1 carbines that have German or Austrian markings have identified two import firms. The story of these two companies and the information relative to their importing these carbines is part of the history of the M1 carbines that returned from Germany and Austria. The history and dealings of these companies explain some of the things we find on the carbines, amongst other things. Sometimes the import mark is the one and only indication a specific M1 carbine served in Austria and/or Germany. There are a number of reasons an import mark may not be present. The most common reason is the mark wasn't required at the time the carbine was imported (1968 & prior). Many countries do not require it, America didn't require it until 1968, rifles brought home by the military and sold as surplus, carbines brought home by individual soldiers. Each carbine needs to be evaluated individually before drawing any conclusions. For further information about importers and markings not provided on this page, refer to the page devoted to Basic Information on the U.S. Carbines Post WWII. When a country or government decides to sell surplus military small arms, they often require that the purchaser be a business native to their own country. A company with an import/export license, wholesale license, and/or retail license may or may not be licensed to do all three. Different countries have different requirements. Companies must be licensed in each of the countries they wish to do business, and licensed to do business with specific weapons/categories that may differ between each country. Once the first business takes possession from a government, they may sell at whatever level they may legally sell, to whomever can legally buy. Quite often the buyers are other companies, and may wholesale amongst each other before the weapons reach a retail level. The above practice is simple business sense for supply and demand. But it can make documenting history a real challenge. As an example, an American police officer bought an M1 carbine through his agency from Interarms in the early 1980's. The officer was certain Interarms had their import mark on the carbine. On checking, he found the import mark was from Century Arms. Century Arms had the supply, Interarms had the demand. Both were licensed importers/exporters and wholesalers, but this time Century Arms had carbines for sale, Interarms didn't. So they did business with one another. Century Arms purchased and imported the same carbine as part of a large carbine purchase, from one or more importers/exporters in Europe. Which of these brokers, if any, purchased them from Germany remains a mystery. Governments, importers/exporters, and wholesalers generally do not reveal this information. In some countries (i.e. Austria) it is illegal to divulge any of this information. In the late summer of 1967 Carbine Club member Bill Ricca visited Interarmco at their warehouse in Arlington, VA and met with the manager, who was also a personal friend. From Bill in 2007, "Actually I know very little about West German carbines, except for the ones I was told about by" [the manager and personal friend]. "When I was there, there were very few left. I got one of probably the last few hundred." Bill's M1 carbine from Interarmco did not have a German agency name anywhere on the rifle, was equipped with a German manufactured stock and handguard, and included a web sling with the words "Zieh Hier" (German for "Pull Here") on its snap. 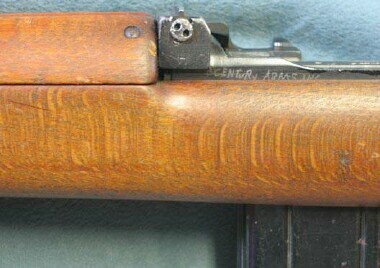 Bill's carbine had no import mark, these marks were not required until the Gun Control Act of 1968.
International Armaments Corp. (Interarmco) was established by Samuel Cummings in 1953. Cummings has been the subject of much attention from the anti-gun crowd and it's not difficult to locate numerous inaccurate articles and statements regarding Cummings. For the purpose of the topic of this website, be it known that most of these articles detract from the truth of history. In 1981 Cummings was interviewed, voluntarily, by Time Magazine with the interview appearing as an article entitled "Nothing for Mahboob" and published in the Monday October 26, 1981 issue of Time Magazine. The article indicates that "as a student on a term abroad at Oxford University, Cummings toured the armament-strewn battlefields of Europe, and there resolved to become a weapons dealer", eventually leading to his first arms import/export business, Interarmco. Cummings and Interarmco became one of the largest gun brokers of their time, conducting business with, and for, many nations worldwide, in addition to wholesale and retail sales within the United States. Their dealings included everything from ammunition to small arms of all types, antiques, missiles, jet fighters, and more. In 1966 Cummings and Interarmco lost a civil suit for trademark infringement (15 U.S.C. §1114(a)) for using the name Interarmco, the lawsuit being initiated by Armco Steel Corporation [Armco Steel Corp. v. Int’l Armament Corp., 249 F. Supp. 954, 959 (D.C. Cir. 1966)]. As a result of losing this lawsuit, Cummings changed the name of Interarmco to Interarms. In the 1950's and into the 1970's Interarmco/Interarms produced an advertising circular known as "Ye Olde Hunter". Items listed were for both wholesale and retail purchase. The Gun Control Act of 1968 had a significant impact on Interarms, their advertising, what they could/could not import into the U.S.A., and the requirement of an import mark placed on each weapon imported. Importation of U.S. military small arms surplus that had been provided to other countries by the U.S., M1 carbines included, were banned from import into the U.S.A., unless certified by the Secretary of the Treasury as "particularly suitable for ... sporting purposes". Ye Olde Hunter commonly ran a full page advertisement (sometimes two consecutive pages) in each issue of The American Rifleman (an official publication of the National Rifle Association). This advertisement commonly included handguns, rifles, and ammunition from around the world. The following was extracted from the advertisement run by Ye Olde Hunter inside the back cover of the August 1967 issue of The American Rifleman, coinciding with the time period described by Bill Ricca, above. Note the statement "only a limited supply". Given the size and scope of the Interarms operations, it is very likely they obtained M1 carbines from a variety of sources throughout the world. Advertisements from the majority of sellers in the 1960's routinely omitted details of where the M1 carbines were obtained. However, it is certain that some of the M1 carbines advertised by Interarms when Bill purchased his carbine, were imported from Germany. The M1 carbines listed in August 1967 appear in each issue of The American Rifleman back to June 1966. Following is the first ad in the continuous series, from the June 1966 issue of The American Rifleman. Notice it indicates "Back Again! Limited Lot. Available for perhaps the very last time!". Examining issues of The American Rifleman yearly from 1955 through 1980, Ye Olde Hunter advertised original U.S. M1 carbines for sale continuously from April 1965-January 1966, June 1966-August 1967, and December 1967-January 1968. Following is the very first advertisement for M1 carbines by Ye Olde Hunter, in The American Rifleman issue of April 1965. West Germany phased out most of their M1 carbines by about 1967/1968, with indications they may have sold some of their U.S. M1 carbines as early as 1956. A word of caution, once again, this does not mean Interarmco/Interarms sold only M1 carbines obtained from West Germany. Absent the first hand experience of Bill Ricca (or someone with similar experience) and his contact at Interarmco, the fact U.S. M1 carbines returned from West Germany to the U.S.A. for retail sales prior to 1968 may never have been known. It is not known how many M1 carbines Interarmco/Interarms imported from West Germany prior to 1968, but the original shipment from West Germany that was about sold out when Bill Ricca visited Interarmco/Interarms is believed to have been more than several thousand M1 carbines. A number of M1 carbines with markings of the West German police agencies have been found in the U.S.A. without any evidence of an import mark. It has been assumed the import mark was either removed, or, the carbine was brought back secreted in the duffel bag of a returning American G.I. These are still possibilities, but a greater possibility is the carbine was returned to the U.S.A. prior to 1968, possibly by Interarmco/Interarms. Interarms was dissolved when Sam Cummings passed away in April 1998. In the mid 1970's Century Arms imported thousands of M1 carbines from Germany that had served with German law enforcement agencies throughout the American Occupation Zones. Between 1976-1979 many of the M1 carbines used by Germany were observed in the possession of various gun brokers in Switzerland. A source familiar with the normal procedures when the German government has had surplus weapons for sale indicates it is normal for the government to deal only with a German gun broker/gun brokers, from which the Swiss and other gun brokers and wholesalers would make their purchases. It appears Century Arms obtained the carbines from a large European gun broker, maybe more than one. Century Arms was not the only import/export firm to obtain the carbines that served in Germany. At the time that Century Arms imported these carbines, they operated a second headquarters in St. Laurent, Quebec, Canada. Some of the weapons that they imported from abroad went to Canada first, and then were forwarded to their St. Albans facility. Century Arms sold to wholesalers in Canada. More than a few of these M1 carbines are owned by Canadians. Most have no import mark. A few in Canada that have been found to have the Century Arms import mark have been traced to sources within the U.S.A.
Century Arms has been contacted and responded with limited information. Their records were lost in a fire in the 1980's. 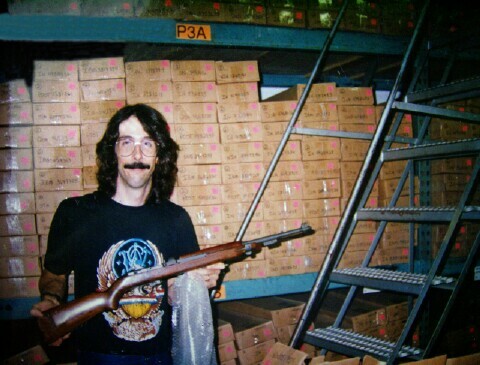 An employee who has been with the company since the 1970's remembered these M1 carbines. He had unpacked them after their arrival in St Albans, and placed the import marks on them. He was not in a position to know how many were purchased, from whom, or the route they took to the U.S.A.
Century Arms had ordered the dies for their importer stamping, but when the first M1 carbines arrived in St. Albans, VT they had not yet received them. Rather than wait, due to the volume of carbines they had to deal with and the pressure to get them moving for sales, they used hand held engravers instead. 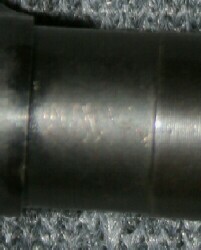 The mark was placed on the left side of the receiver about even with the receiver ring, partially above and below the stock (see pictures above). After they received their dies, the import mark was placed on the bottom or side of the barrel. These M1 carbines could not be imported and sold to American citizens, because of the laws discussed above. They were for sale only to law enforcement agencies and individual law enforcement officers who could obtain their agency's written permission. Interarms of Alexandria, Virginia sold many of these carbines to various agencies and their officers. Interarms was an importer and also a wholesaler. 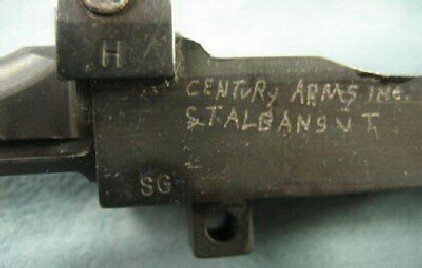 A number of carbine owners believed these German used carbines were imported by Interarms, but close examination reveals the Century Arms import mark (see Interarms above). Interarms advertised these carbines for sale to law enforcement in Shotgun News in the early 1980's (currently seeking copies of these advertisements for this web page). A retired Detroit police officer organized a list of officers interested in buying these carbines and purchased them from Interarms. The individual officers took possession of what they ordered, with the remaining carbines being purchased by the officer with whom I spoke. Over the years he sold all but one of the carbines. His remaining carbine has the Century Arms import mark. American law enforcement agencies that used the M1 carbines from Germany sometimes placed their own markings on the carbines, sometimes not. When a law enforcement agency replaced their M1 carbines with newer weapons, the M1 carbines became surplus. Many agencies sold their surplus at auctions, either directly, or through an auction house. Some sold the carbines individually to citizens, some sold the entire surplus inventory to a gun dealer by auction. Individual officers who purchased the carbines through their agency later kept them, sold, or traded the carbines to other officers or other citizens, for personal use. The U.S. M1 carbines that were used in Germany and imported by Century Arms have a variety of unique markings, alterations, and replacement parts. Since this was not done by Century Arms, but the German agencies that used them, these are addressed on the pages devoted to the M1 carbines in Germany. Tennessee corporate records show INTRAC Corporation was chartered December 1983 and dissolved in July 1998. INTRAC Arms International LLC was founded November 1995, incorporated February 2001, and dissolved in November 2004. INTRAC was listed as a regular vendor at the annual Shot Show in the 1990's and up until 2004. In addition to the headquarters in Knoxville, Shot Show records indicate an INTRAC European Headquarters in Baden, a suburb of Vienna, Austria. Closer examination of the address revealed it was a postal box only. In 2005 Shot Show vendor comments online indicate that INTRAC was no longer in business. In 1994 Austria sold approximately 15-16,000 M1 carbines to an Austrian company. Austrian law required government surplus sales to be to an Austrian owned business. Shortly thereafter, INTRAC purchased all of these M1 carbines from the Austrian company. During the latter part of 1994 or early part of 1995 INTRAC imported one shipment of 7,991 of these M1 carbines to their facility in Knoxville, TN. The shipment included many U.S. manufactured parts still in new condition, that had been provided to Austria by America when the M1 carbines were provided. A source inside INTRAC related American government agencies attempted to block the importation of these M1 carbines, stating they were banned from importation by the 1968 Gun Control Act. INTRAC provided a document that showed the carbines were legal to import. What this document was, was not stated. The carbines were shipped by INTRAC inside Hirtenberger artillery ammo tubes, eight carbines to a tube. The tubes were initially manufactured for the protection of individual artillery rounds and were sold as surplus by INTRAC after the carbines were removed. A couple of the 7,991 carbines were found to be M2's, and were turned over to BATF. The remaining carbines were all M1's, no M1A1's. INTRAC did not alter the carbines in any manner, other than adding the legally required importer mark. 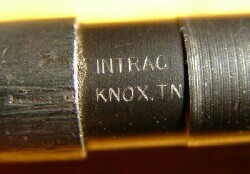 The import mark was applied using a Hermes engraver, which allowed for precise placement of the marking on the bottom of the barrel adjacent the rear of the front sight. The depth of the import mark varied, making some of the markings difficult to see. Some of these have been later found with the importer marking removed. The condition of the carbines when they were received by INTRAC has been described as generally very good to excellent condition, with the exception being some of the stocks had been damaged. Very few had rust or pitting. Some of the carbines were in protective long term storage grease. The majority of carbines not in grease were well cared for and sighted in accurately. INTRAC was advised by the Austrians that the carbines had been qualified with yearly, visually inspected, cleaned, and if stored, placed back in storage. The majority of the M1 carbines had no markings other than the original American manufacturer markings. The largest quantity that had markings, had them on the bottom of the trigger housing (Gendarmerie markings). This indicates the carbines INTRAC purchased also came from the Bundespolizei and/or Bundesheer, who did not mark the carbines they used. This means there are M1 carbines that were imported from Austria that the only clue they were used in Austria would be the presence of an INTRAC import mark. Many of the carbines had markings from a Bavaria law enforcement agency, but the majority had no such markings. INTRAC was told by the Austrians that their country had purchased several thousand M1 carbines previously used by Bavaria from an American company in 1956 due to the Hungarian Crises. This means there are M1 carbines with Bavaria markings and no Austria markings that the only clue they were used in Austria would be the presence of an INTRAC import mark. Some of the carbines imported by INTRAC have both an Austrian and German agency marking. The Austrians did not disturb German markings that were present (with a few exceptions). INTRAC imported no other M1 carbines, only those they obtained from the Austria. The Austrian company sold INTRAC only carbines that had been obtained from Austria. The carbines were sold by INTRAC in the condition and configuration in which INTRAC received them. INTRAC did not repair, replace, or switch any parts. Many carbines were received with a leather sling attached (see Austria Accessories), a paper tag with an officers name and location the carbine was used by the Austrian Gendarmerie (see The Carbines, Austria), a rubber rear sight protector (see Austria Accessories), a colorful sticker affixed to the stock in a manner consistent with a rack marking denoting the Austrian unit to which it was assigned (seeking examples), and/or a wood dowel in place of a oiler. If a carbine had one or more of these items when INTRAC received it, when INTRAC sold the carbine the item(s) went with it, undisturbed. Amongst the parts INTRAC received from Austria were thousands of original GI 15 round magazines and many GI 30 round magazines. BATF advised INTRAC these were in violation of laws limiting magazine capacity. INTRAC rented a concrete/asphalt roller, placed the magazines in their parking lot, and flattened all of them. The metal was sold as scrap. Shortly thereafter BATF stated they had made a mistake, the magazines were legal for INTRAC to import and sell. INTRAC had arranged for the remaining 7,000-8,000 M1 carbines to be sent in a second shipment in the latter part of 1995. Between the first shipment and this second shipment, Secretary of State Madeline Albright initiated administrative action that prevented INTRAC from importing the rest of the M1 carbines. They were returned to the Austrian company and sold outside America. Included in the second shipment were M1 carbines used by the Austrian agency known as Zoll (their version of customs and immigration). In the late 1990's and as late as 2007 the carbines used by Zoll were being sold by Euroarms in Italy (see The Carbines, Austria). INTRAC sold the M1 carbines they had imported from Austria, wholesale, to only two companies: Tennessee Guns of Knoxville, TN and Centerfire Systems of Versailles, KY. INTRAC sold all of the parts they had imported from Austria to Centerfire Systems. Both of these companies sold the carbines wholesale to other dealers and retail to individual customers. Centerfire Systems published and mailed inventory lists/catalogs specific to the M1 carbines and parts they purchased from INTRAC. These lists and catalogs included serial number, manufacturer, barrel markings, stock type with markings, receiver markings, barrel band type, Bavaria agency name if present, the presence or absence of markings on the bottom of the trigger housing, and the price, for each carbine. Notice the above Centerfire Systems ad indicates "Direct from Bavaria". This is a good example of why the U.S. M1 carbines that served in Austria and the American Occupation Zone in Germany have been collectively, but inaccurately, known as the "Bavarian Carbines". Many of the carbines sold by Centerfire Systems and Tennessee Guns had no German or Austrian markings on them, and, many had only the markings of the Austria Gendarmerie. These particular carbines were not used by Bavaria, they were used solely by Austria. The confusion is understandable, the Bavaria agency names on the carbines that had them were obvious. The Austrian agency names, if any were present, were letter abbrevations that were not understood. The number of inventory lists and catalogs produced by Centerfire Systems is not known. The total number of carbines listed, eliminating duplicates, is approximately 3250 M1 carbines. This website has no paid advertisements. This one is on me, in gratitude for the assistance and information they have provided.